[Uneducated rant from 2009] there you have it. We cant have a GNOME release without the rants. Now I spared you ranters a few minutes so you can go and do your #real_work. Ps. Great release btw. Congrats. Last edited by funkSTAR; 09-26-2012, 03:43 PM. Phoronix, I know this is part of your business idea, but I think this ridiculous amount of backlinking is sometimes so pointless. You don't have to backlink *everything*. 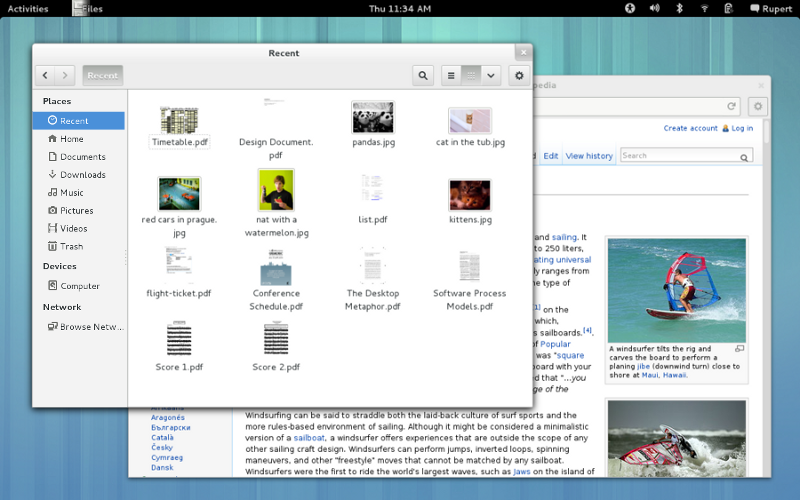 It'd be cool if that GNOME 3.6 link would actually link to the GNOME homepage. A matter of convenience when reading news and normally a globally accepted thing. I would think. Or at least, differentiate in colour between external and internal link so I know what to *not* click on without having to hover on. Agreed. I've gotten used to assuming everything is a backlink on Phoronix and so I cautiously scan my status bar before clicking. Sure, Michael is acting like a scammer trying to persuade you to visit more of his pages to get more advertisement money. And yes, at least using a different color for the backlinks would be great, I'm sick having to look at the status bar to avoid clicking on his backlinks. I'm using this release on Arch Linux and Nautilus is actually one of my favorite improvements. Search actually... works now! You should give it a try.